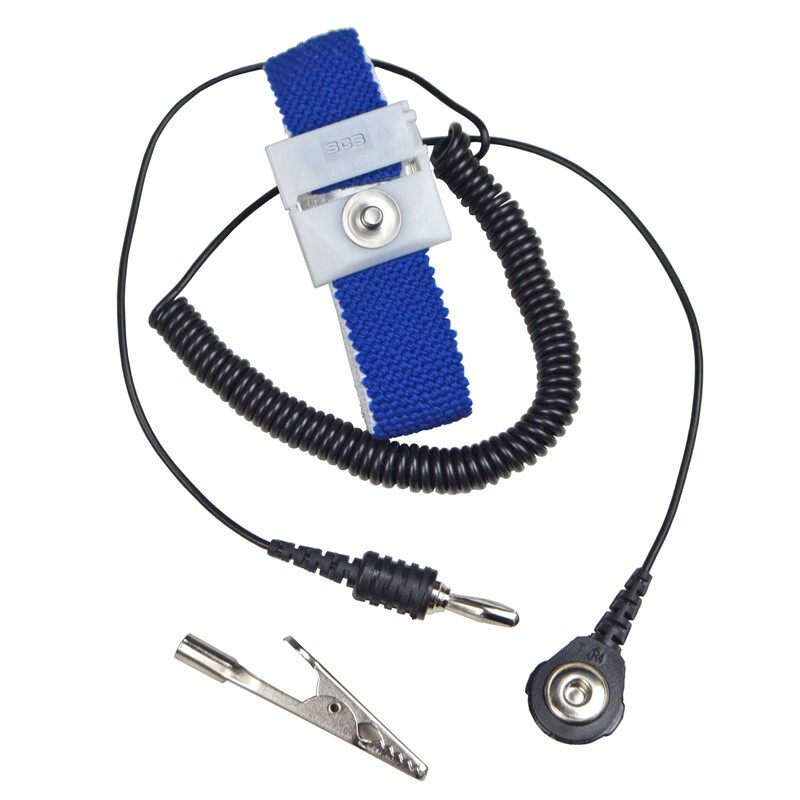 The Adjustable Wrist Strap set provides a cost-effective method of grounding personnel. Features a comfortable, adjustable band, a 5 ft. (1.5 m) coiled cord with a 1/8 in. (4 mm) snap.